I heard this weekend that David Trampier passed away. For me he was one of my favorite artists. 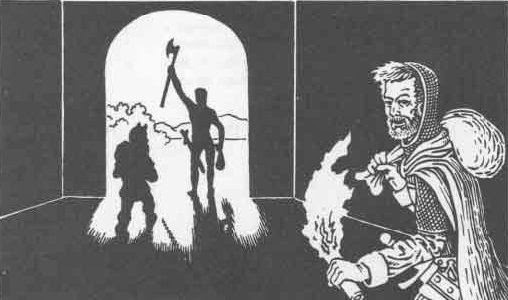 I especially liked the illustration on page 109 showing adventurers successfully leaving the dungeon. It is striking how he economized the actual drawing yet perfectly conveys what it was about. I tried to emulate that style for the ads for my various projects. One of Trampier more popular illustration is the Ride of Emirikol the Chaotic. So in his memory here are some links to old post with some interesting facts about that picture. More on Emirikol's the Chaotic Ride. Just broke 28,000! On to the stretch goals! 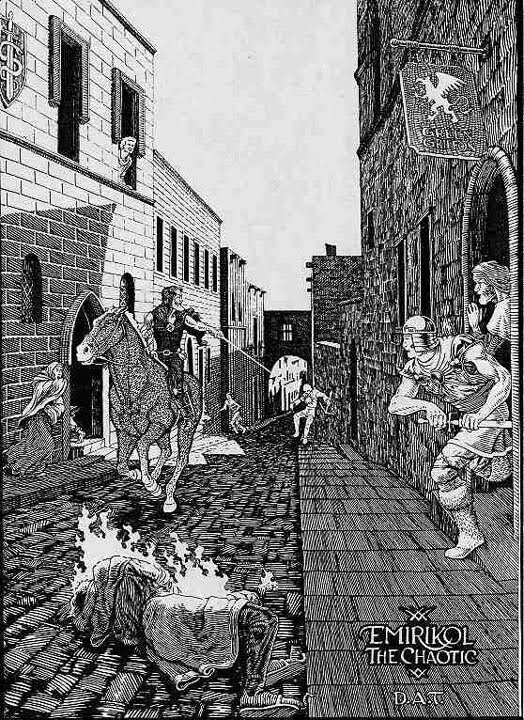 Judges Guild has announced a kickstarter to re-release the original City-State of the Invincible Overlord and the campaign maps. The campaigns are going to be double sided with one side an artistic presentation by Chirstiana and a cartographic presentation by me on the other. Below is a working sample of the style I am using. Some things to look forward to on the cartography. The original had some issues when they were joined. We identified the issues and worked with the Bledsaws coming up with solutions. 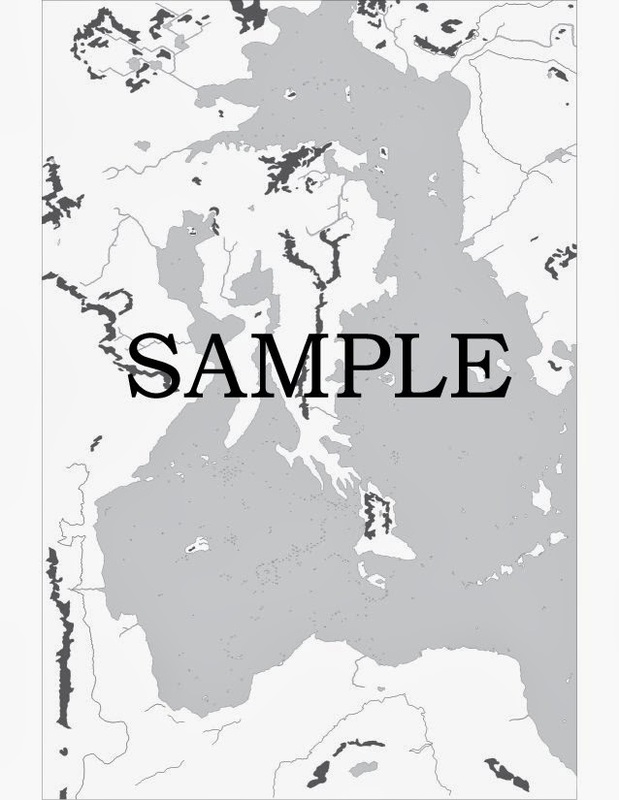 The idea is that the future work on the Wilderlands will be based on these maps. I am carefully layering the maps so that Judges Guild can use the file for digital products. I am mapping the entire Wilderlands in one file. This means producing combined maps of the entire Wilderlands or sections is very easy. The downside is that go through the layers rather than the maps. I started with all the coasts, then all the mountains, then the hills, then the rivers, and so on. For example below is just the coastlines and shaded mountain ranges. Hope this gets funded with all 18 maps in print.